Computer hacking is extremely prevalent. The article analyzes the crime of hacking and describes the various types of computer hackers. It examines what hackers do and how to secure computer systems against hackers. The thrust of the article deals with the collection and use of computer evidence to apprehend the hacker and, once apprehended, to either prosecute or defend. Computer hacking is extremely prevalent. This article analyzes the crime of hacking. It describes the various types of computer hackers. It discusses both the perceived threat and the real threat from hackers. It examines what hackers do and how to secure computer systems against hackers. 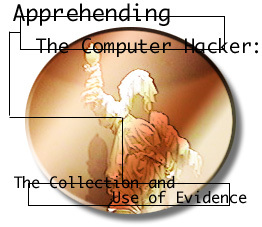 The thrust of the article deals with the collection and use of computer evidence to apprehend the hacker and, once apprehended, to either prosecute or defend. Four case studies are presented that demonstrate the collection and use of evidence. By Marc S. Friedman, Esq. and Lindsey H. Taylor, Esq. The United States is probably the worlds largest market for software. Software developers should know the intellectual property protections given to software, so they can take steps to ensure that others do not take advantage of their work, while, at the same time, avoiding conflicts with other developers selling similar software. A company purchases a new computer system. Some time afterward, litigation results from the sale. From the companys point of view, the system either was not fully delivered or it does not work. From the vendors point of view, the system is fully functional and the customer is being unreasonable. Both sides hire technical experts. They become the key elements of the case. All other fact testimony is presented to support the experts conclusions. The trial becomes a battle of the experts. This article discusses the elements of the forensic investigation and how the evidence should be gathered and presented. This article is a continuation of the article entitled, "Technical Experts in Computer-Related Intellectual Property Litigation," that appeared in the last issue. The prior article discussed the steps that a forensic expert must take to determine whether or not software piracy has occurred. The current article discusses how evidence of software piracy must be presented at trial by a testifying expert. Three precedent setting cases are analyzed from a technical point of view. With the Year 2000 rapidly approaching, the Y2K Millenium Bug looms closer. Many companies are rushing to become Year 2000 compliant. Vendors are selling many new products and services related to date problems that will occur on computers once the century changes. In many cases, litigation will be inevitable. In anticipation, companies should begin collecting evidence now to be able to make any potential litigation meaningful. A company may have assets worth millions of dollars. However, its most important asset may be its intellectual property. Computer software is an extremely important asset that contributes significantly to the overall value of a company. Software may be protected by patents, copyrights, trade secrets, trademarks or a combination consisting of these various modes of protection. At times, lending, investment or taxation requirements will require valuation of these assets. This article addresses the different methods of valuation and factors to be considered in determining the value of software assets. Only 20%-30% of all U.S. Companies have begun to inventory their computer systems and perform any risk assessment steps to address their Year 2000 problem. Worse, less than 10% have actually started fixing their code. While the rest of the world, and your company is catching up, there are things that you can - and must - do right NOW to help your company address the problem and withstand the inevitable onslaught of litigation that is allegedly making some attorneys salivate. This article discusses issues relating to a software licensee self-modifying software to make it Year 2000 compliant. The article concentrates upon copyright problems. The use of reverse engineering to obtain source code so that the user can modify the software is also discussed. Finally, the article discusses what can and cannot be done with the modifications based upon that fact that they are derivative works. If, in fact, a company finds itself in court several years hence defending its Year 2000 efforts, what documents might prove helpful (or harmful) in establishing guilt, facts, negligence, reasonable behavior, etc. While defendant companies should be careful with paper trails that can later come back to haunt them, they must keep a complete and reasonable contemporaneous record if they are to have any chance to survive a lawsuit. This article lists those items that must be retained for use should litigation occur. It is virtually impossible to produce a large software system that is 100% error free. Yet, even software containing errors can be useful to users. This article discusses a commonly used methodology of classifying errors based on severity from a user's point of view. It also discusses how to determine whether or not the software is merchantable using this error classification.